SpectraQuest, Inc. is a leading developer and manufacturer of complete Turn-key Systems for training and diagnosis in Machine Vibration Analysis, Rotor Balancing and Shaft/Coupling Alignment. 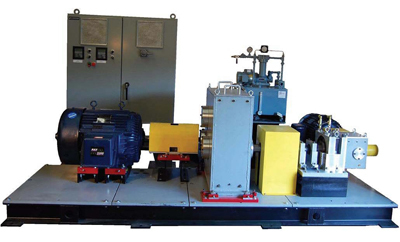 Our systems include Machinery Fault Simulators, Interactive Training Program, Data Acquisition Hardware, Software and Accessories. Following are some of our most popular products and more can be found under "Products" menu. 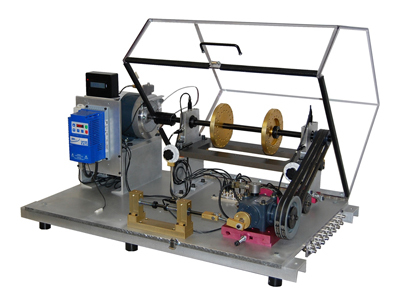 The Vibration Fundamentals Training System (VFT) is a turn-key integrated educational package for teaching/learning the fundamental principles of mechanical vibration as well as engineering mechanics. SpectraQuest´s Drivetrain Diagnostics Simulator (DDS) has been specifically designed to simulate industrial drivetrains for experimental and educational purposes. The drivetrain consists of a 2 stage planetary gearbox, a 2 stage parallel shaft gearbox with rolling or sleeve bearings, a bearing loader, and a programmable magnetic brake. 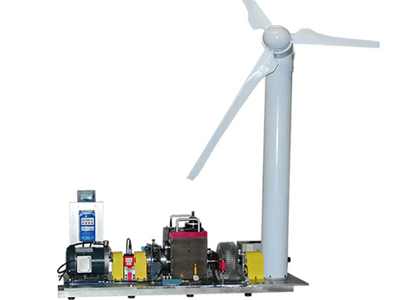 SpectraQuest´s Wind Turbine Drivetrain Diagnosis Simulator (WTDS) has been designed to simulate wind turbine drivetrains for experimental and educational purposes. The drivetrain consists of a 1 stage planetary gearbox, a 2 stage parallel shaft gearbox with rolling bearings, a bearing loader, and a programmable magnetic brake. 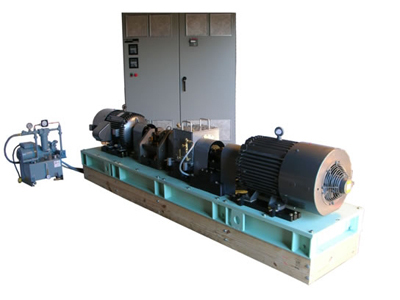 This new transmission test rig is made for the renowned Alfred Gessow Rotorcraft Center at the University of Maryland for their research in the areas of mechanical transmission health and usage monitoring and gear faults prognostics. Spectra Quest´s transmission diagnostics/ prognostics test rig is a turn-key test rig you can use to study the transmission diagnostics/prognostics and gear dynamics. 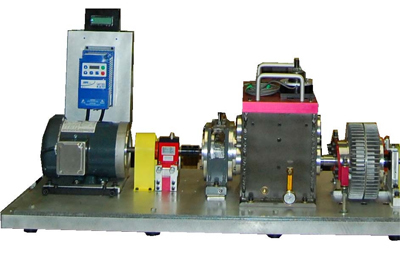 The bench-top system has a spacious modular design featuring versatility, operational simplicity, and robustness. SpectraQuest provides technical notes to increase your knowledge in machinery fault and diagnosis. 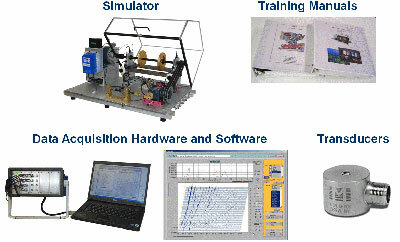 Most of the tech notes gathered data using SpectraQuest's own simulators and data acquisition systems. Spectra Quest´s engineering team consists of highly seasoned personnel who have been working with machinery for their entire careers. Many have over thirty years experience in all aspects of machinery design, operation, maintenance, and troubleshooting. The consulting services typically address the following disciplines: Vibration and alignment training Machinery assessment and modification to improve rotor dynamics. Field testing, analysis, and reporting. 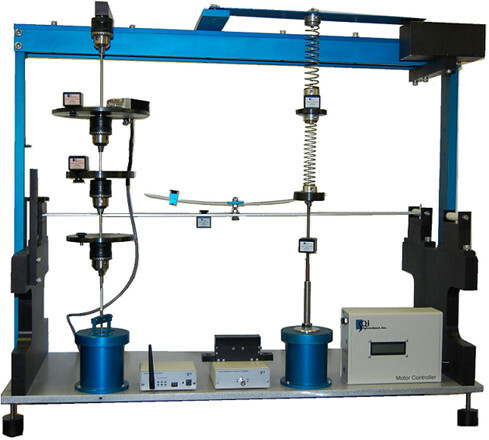 Design and fabrication of rotor dynamics test platforms for research and special studies. Implementation of Predictive Maintenance programs. Implementation of Preventive Maintenance programs. If Spectra Quest can be of service, please feel free to contact us to discuss your needs.